One of the most common misconceptions around is yoga is all about complex body movements and odd stretches which make the idea of yoga chairs sound strange. What if I told you meditation chairs not only help deepen flexibility but strengthen personal body awareness as well? Did you know yoga routines vary with intensity from physically demanding to restorative yoga which is more relaxing? Meditation chair poses fall into the latter category. But in order to get the best out of this type of yoga routine, you will need to have the best meditation chair that not only gives you maximum support but comfortably aids your body with those stretches. If you’re in the market for a meditation chair, take a look at one of these selections from the following best meditation chairs of 2018.
Who Needs the Meditation Chair? Before delving deeper into these items let’s look at who exactly might find a meditation chair useful. A meditation chair can serve as a useful prop to most people practicing yoga depending on their needs. However there’re special instances where this bench ceases to be optional but a necessity for example in the following scenarios. As you’re aware yoga isn’t only for the young hot blooded age group; in fact, it cuts across all age groups from young to old. As we age, flexibility decreases which may lead to pain and immobility. Chair yoga can help reverse this process. The elderly who have restricted body movements will find these chairs very useful in giving them stability. Persons with disabilities – for instance, those with spine dislocations – might not have full limb movement, thereby restricting mobility in certain standing positions. A meditation chair will definitely make their lives easier by providing the necessary support and stability. Those who’re unable to stand will also find the meditation chairs very useful. Another group is those who find it difficult to quickly shift from a standing to sitting position and vice versa. In this instance, a meditation bench will provide them with the necessary support and balance. Don’t let health conditions keep you from practicing your favorite yoga positions. For instance, people suffering from arthritis will find yoga chair poses useful as it ultimately reduces pain while increasing mobility. Obese people who may have trouble with joint pain will also find his chair useful. This chair will help in improving the body’s alignment and reduce strain on joints by allowing most of the weight to be exerted on the chair. People with neurological diseases will also benefit from using a yoga chair. If you spend most of your days sitting behind your computer you might want to invest in a meditation chair. The question is how correct is your body posture? More often than not we end up with undesirable back pain because of incorrect body postures including slouching. Engaging in yoga chair meditation will help you assume the correct posture and consequently alleviate any discomfort. After looking at people who might find the meditation chair beneficial let’s look at the benefits it comes with. Is the meditation chair really necessary? A yoga chair is important in the following instances. There’re certain poses that require you to be seated from an elevated position like a chair. This way you’ll be able to do versions of twists, hip stretches as well as forward and mild backbends. 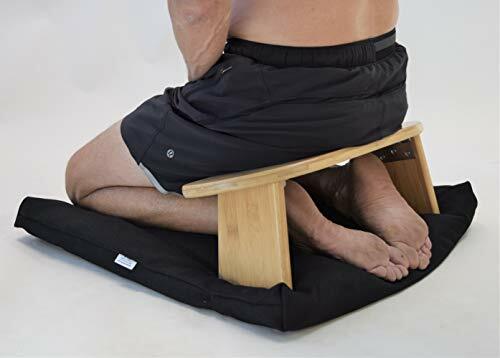 A meditation chair will ensure proper alignment of your back and make sure your legs and ankles are comfortable during your session, all while absorbing the weight of your upper body. This will provide you with the necessary support you need. A meditation chair will help you become more flexible and bring greater range of motion to those tight areas. Over time you’ll gain flexibility in your hamstrings, back shoulders and hips. Certain materials make the chair more comfortable – for instance, if the seat is made of rubber. Rubber will mold to fit the shape of your buttocks well. Also look for a chair that is scratch resistant for your increased comfort. Looking to increase your muscle tone? Chair yoga poses help you achieve this as well as increased mobility. Depending on the poses you can also shape up lean muscles in your legs, arms, back and abdomen. In cases where your body balance is compromised, a meditation chair will help you maintain balance and build your core strength in the process. A yoga chair will allow you to use your joints without injuring them because of the low impact. This is because your full weight will be resting on the chair. Your muscles around the joints can also be strengthened. The average working person spends most of their time sitting in an office. Depending on the body posture this may affect the body negatively. Using a yoga chair will help provide back support while reducing tightness throughout the body as well as spinal compression. Now that you’ve got an idea of the benefits that come with using a meditation chair let’s look at the attributes to look for when looking to buy one. TIP: The distance from the front leg to back leg must be wide enough so that it doesn’t tip you over. A yoga chair should be steady enough to provide you with stability. Look for a chair with a sturdy frame to give you the support you need and overall balance while you do your yoga. With the different stretches you’ll be engaging in, a chair that offers adjustability will come in handy. An adjustable chair can let you adjust both legs and set them at different heights so you’re able to find the most comfortable positions. Try looking for a chair that will last long. The last thing you need is a chair that’ll quit on you midsession. A quality chair made of certain materials like strong wood or plastic will hold up well over time. If you’re going to be practicing your sessions at home, easy storage of this chair might be one of your main concerns. In that case a portable chair you can easily fold would be very ideal. These chairs come in different styles so you’ll find one that suits your needs. Ideally yoga chairs should aid in your stability. Some styles while trendy might not be ideal. For instance steer clear of chairs with wheels because they’re unstable. Rather look for chairs that’ll give you balance while improving your posture and building a stronger core. Balance ball chairs will provide you with all this and more including flexibility. And to top it off they’re affordable too. Look for a chair that provides your body with ample support. Backless chairs are designed to offer you with this kind of support and help you ditch poor sitting postures. A backless chair forces you to sit in an upright position. They’re also excellent for short people. If you’re looking for a high-quality yoga chair, you’ll like this one. This handmade chair is made from acacia wood which makes it durable and sustainable. It’s ideal for people up to 5’11” tall. Comfort will no longer be an issue with this chair because it comes with a cushioned seat. It has rounded and angled pedestal legs which are securely fastened. 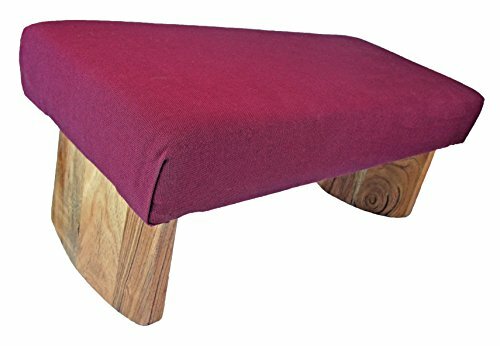 Why not make this good looking bench part of your yoga experience? It has no ugly screws which makes it visually appealing. However this bench isn’t foldable so portability and storage might be an issue. This bench measures 18” x 8”. 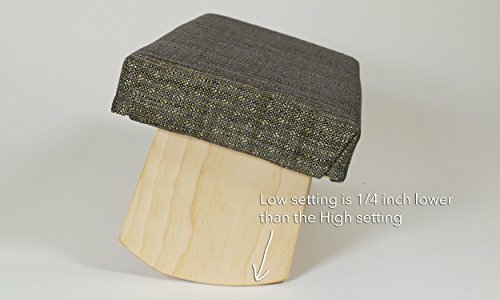 The legs of this bench have two height settings which are low and high. If you have arthritic knees you might want to opt for a higher chair as this chair isn’t very high and might end up exerting more pressure on your knees. Balance might be an issue with this chair because the bottoms of the legs are so smooth they might slide over the floor. However you can always use it on a carpeted surface for more grip and stability. Q: How is the fabric secured underneath? A: It’s secured by staples. Make your meditation session as comfortable as possible with this meditation bench which is designed to prolong comfort and concentration. You won’t have to worry about back pains thanks to this chair which ensures your spinal cord is erect during your session. Combat any fatigue with the aid of the multi radius rounded legs which allow adjustment to the angle and height of your seat. You can rotate this bench 180° to adjust height and seat geometry. If you’re suffering from any back or neck pain, you’ll appreciate this particular chair. This chair is made of lightweight wood which is strong and durable. Quality and this product go hand in hand. This chair has a multi-density cushion made of high-quality foam and fabric. It has broad fixed legs for increased stability and it’s also good to look at with its hand rubbed oil finish. For your added comfort the seat is 9” x 18” and has a multi density pad for ultra-comfort. If you want options, it comes in a variety of colors and patterns so you’ll find one that suits your taste. And best of all its suitable for most people whether small, tall or large. Q: Can this bench be folded? A: No it’s not collapsible. If ever you experience problems while trying to do cross-legged sitting meditations, you’ll appreciate this design. This bench is designed to reduce knee, hip, ankle and back stress with effortless spine alignment. The curved bottom surfaces of the legs allow you to slightly adjust spine and pelvis alignment compared to fixed-flat bottoms. You don’t have to worry about where to store this bench thanks to the foldable tight hinged legs. 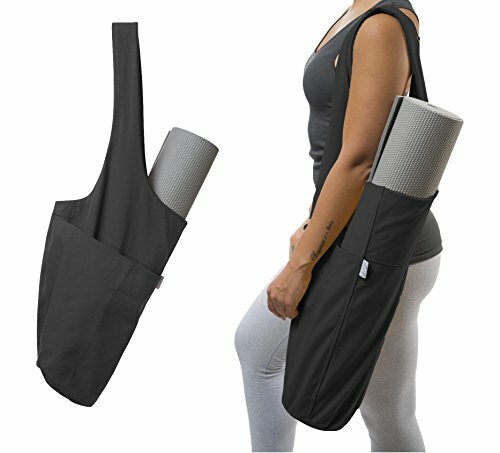 And you can practice your yoga session anywhere with this portable bench which makes it easy to travel with. The seat size measures 18” x 7.5” x 5.5” making it quite large for increased comfort. An optional cushion is available at a discount for your added comfort. 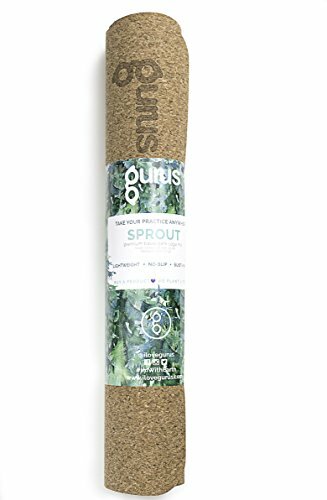 It’s made of high quality bamboo with an eco-friendly natural oil finish. An issue you might find with this bench is the pins don’t always lock so extra caution is needed so that it doesn’t collapse. A: It weighs 4 lb.-5 lb. 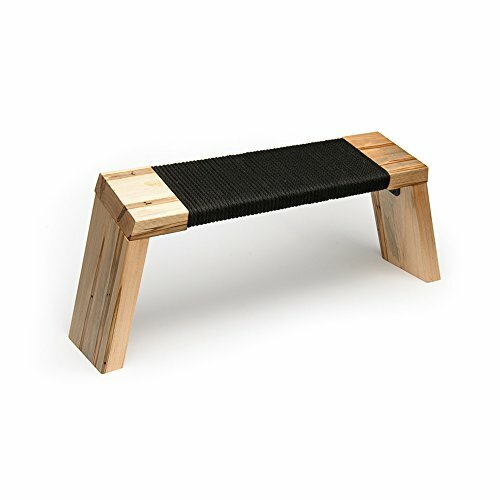 This bench is made from 100% solid and sustainable wood so you don’t have to worry about durability. Your comfort is taken care of thanks to the curved seat. It has a patented pedestal leg which makes it stable and well balanced to stand on its own. This particular seat promotes perfect posture and allows for full expansive breathing as it supports your weight. You can roll gently in all directions and reduce discomfort thanks to its design. This seat will reduce poor posture, restricted breathing, slouching and knee, back and ankle pain. It’s very light it will easily slip into your bag or backpack. You won’t need an extra mat or cushion because of the comfort this seat provides. You don’t have to worry about taking ages to setup your yoga prop. You can break it down and assemble this chair in one swift magnetic motion. If you’re not happy with this purchase you can send it back for a full refund. Also if any component fails you can quickly return it for repair or replacement. Q: Is the leg removable for travel? If you’re looking for an economical option, you might like this spacious bench. It’s meticulously crafted to align your spine properly. Whether it’s a short or long yoga session you’ll find the utmost comfort from this particular bench. This bench has an 8” height at the back which makes it comfortable for longer sitting hours. It’s designed to suit everyone regardless of built and height. If you thought your feet were too large for a yoga bench then this one is for you. It also has a black rope wrap which adds to your comfort and grip. It’s designed for those who may have slightly less range in motion in the knee, hip or ankle. For your convenience you can easily collapse the legs which make the chair easy to move around. Q: What are the exact measurements of the legs? A: The back legs are 7.25” high and the front ones are 6.25” high. After taking the above into consideration, which one do you consider as the best meditation chair? Ideally a good yoga chair is supposed to be sturdy so as to provide you with stability during your yoga meditation. An uncomfortable chair can cut your session short prematurely due to discomfort. Make sure your chair enhances good posture by supporting your back as well as your knees and ankles. The Joy is Within You Fixed Legs Meditation Bench ticks all the right boxes. It’s designed to give you an erect spine while seated which will make you meditate for hours comfortably. If by any chance you begin to feel any fatigue you can easily shift to a more comfortable position. This is made possible because of its ability to rotate 180° when adjusting your height. Any pains you might have including back and neck pain will also be taken care of thanks to the design of this chair. Best of all it’s made of high quality material so durability is taken care of and you can pick your favorite color. So why not include this chair in your yoga props list and enjoy these benefits too?